Flash forward to Monday morning. 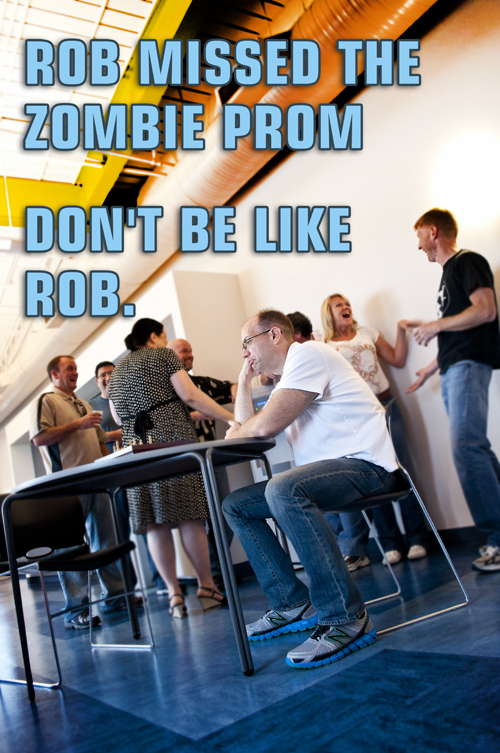 Rob missed the Zombie Prom. Don't be like Rob. Register now!